Governments, utility companies, and many businesses today agree we are in the midst of a shift toward a low-carbon economy. Many utilities are transitioning toward more renewable energy generation models and utilizing new energy storage solutions like specialized microgrids. Much of the focus has been on clean generation sources such as wind and solar, but some worry these options will become too expensive on a large scale due to storage concerns. How Specialized Microgrids can Rapidly Enable a Low Carbon Electricity Network. Download it now. Killowatt Labs, a technology company focused on delivering better solutions in distributed renewable energy, presents a potential solution to this concern. The company explores the benefits of customer-sited specialized microgrids and their potential to achieve significant renewable penetration in a recent white paper. It explains how specialized microgrids enable a rapid transition toward low carbon electricity networks, utilizing technology already available today. The case for microgrids is growing stronger daily. They offer an economical, technically viable and most importantly, a safe and reliable power source. Specialized microgrids operate on the principle of self-generation and consumption and act as a replacement for net metering based grid-tied rooftop solar programs. The specialized control electronics have the functionality to replace the grid in every respect so that it does not require any support from the grid network. The relevant price point for such a system to be economically acceptable for all stakeholders is the end price paid by the customer and not the price at the generation stage. Killowatt Labs dissected how specialized microgrid systems work at a customer site. They used a model which included a fixed price per kilowatt-hour for 25 years. 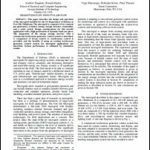 The white paper covers in detail how specialized microgrids offer economic advantages to all stakeholders involved. Customer-sited specialized microgirds are currently a feasible way to move quickly toward a low carbon electricity network and meaningfully reduce greenhouse emissions. This white paper discusses Kilowatt Lab’s findings and research on the future of customer-sited specialized microgrids. 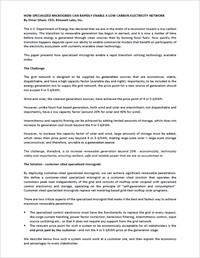 Download this white paper from the Microgrid Knowledge White Paper Library to read more.